Recent figures have shown that house prices in the UK fell again in May this year, making it the third month in a row which has seen prices go down. Nationwide, the UK’s biggest building society which carried out the research, stated that this is the first time house prices have fallen in three consecutive months since 2009. 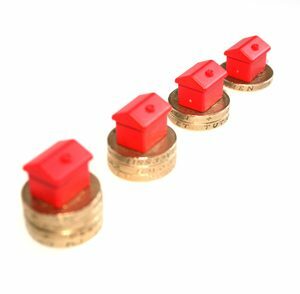 Following the drop of 0.3% seen in March and 0.4% in April, May saw prices decrease by 0.2%, making the average house price £208,711. The annual rate of price growth also hit 2.1%, down from 2.6% in April and the slowest pace seen since June 2013. “It is still early days, but this provides further evidence that the housing market is losing momentum”, said Nationwide’s chief economist Robert Gardner. “Moreover, this may be indicative of a wider slowdown in the household sector, though data continues to send mixed signals in this regard.” The building society also warned that it is too soon to know whether the recent downturn can be considered to be more than a “blip”. Nationwide have also suggested that house prices will continue to slow, and that inflation rises will put pressure on household budgets, leading to weakened household spending. However, the building society has predicted that house prices will increase by around 2% overall throughout 2017, buoyed by a shortage in the supply of housing across the UK. Whilst this offers some reassurance, this figure is considerably lower than the 4.5% rise seen in 2016.